When I think of meditation, many things come to mind: mandalas, lotus flowers, sevenfold symmetry, nature, chakras and rainbows. They are all here in this cushion cover. You could also use the design on a bag, as in a workout or yoga bag, or simply framed and hung on a wall. 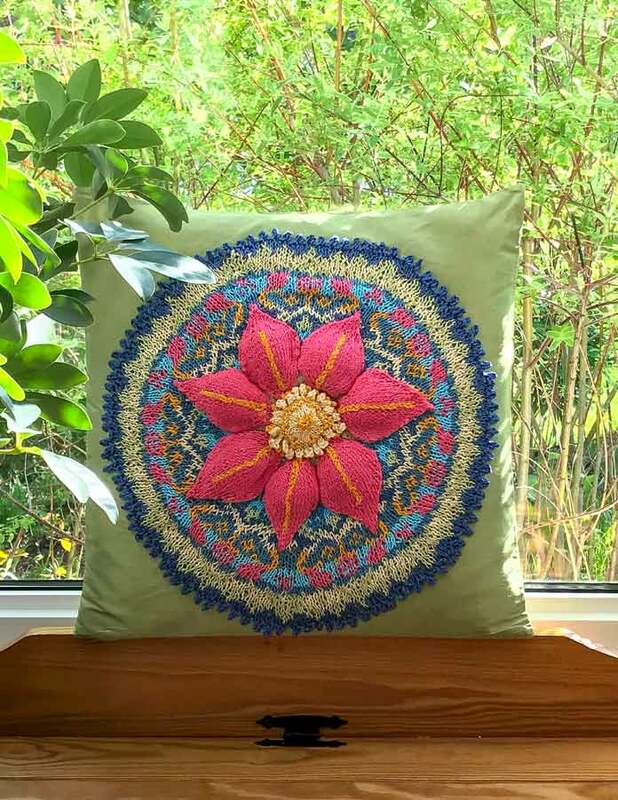 The knitted mandala has an appliquéd flower in the center and is itself appliquéd to a cushion cover.